Background: Use of modern contraceptive methods has been shown to reduce unwanted pregnancy, high parity and maternal mortality. Intrauterine contraceptive devices which are among the safest and most effective reversible contraceptives available, are particularly suitable for women in developing countries as they are affordable, convenient to use, do not require re-supply visits and are very cost-effective. The aim of this study is to determine the socio-demographic characteristics of intrauterine contraceptive device acceptors, the pattern of insertions and complications at the University of Uyo Teaching hospital, Uyo. Method: The record cards of all clients who had intrauterine contraceptive device inserted at the family planning clinic over a six-year period were reviewed. Results: During the study period, there were 852 new contraceptive acceptors out of which 39.7% accepted the intrauterine contraceptive device. The modal age group of the clients was 25-29 years (32.5%). Acceptance of intrauterine contraceptive device was most common among multiparous clients (65.1%). Majority of the acceptors were married (90.0%), Christians (98.8%) and 72.8% had at least secondary school education. Clinic personnel (65.7%) and friends/relatives (21.3%) were the most common sources of information on contraception. Most (93.5%) of the clients had their intrauterine contraceptive devices inserted within 7 days of menstruation. Lower abdominal pain (5.5%) and vulval/vaginal itching (5.3%) were the most common complications. Conclusion: The acceptors of intrauterine contraceptive devices in our center were young, multiparous and educated women. Increasing mass media involvement in the dissemination of accurate information about intrauterine contraceptive devices to the general populace, the introduction of postpartum and post-abortal intrauterine contraceptive device insertions and the encouragement of our grandmultiparous women to accept intrauterine contraceptive device would lead to an increase in its acceptance and use. Background : Adnexal skin tumors share many features in common and differentiate along one line. Their detailed morphological classification is difficult because of the variety of tissue elements and patterns seen. They may be clinically confused with other cutaneous tumors. The aim of this report is to review and classify all adnexal tumors seen in a pathology department over a 16 year period. 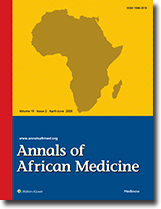 Method : A 16-year retrospective analysis of all adnexal skin tumors seen in a large University Teaching Hospital in Nigeria from January 1991- December 2006. All tissue specimens were fixed in 10% formalin, processed in paraffin wax and stained with Haematoxylin and Eosin. Histology slides were retrieved, studied and lesions characterized. Results : Fifty-two adnexal tumors were seen, accounting for 0.9% of all cutaneous tumors seen within the same period. The median age was 33 years (range: 4 days -70 years). Clinical presentations varied from discreet swellings and nodules to ulcerated masses. Five patients presented with recurrent lesions. Only two cases had a clinical diagnosis of adnexal tumor. Twenty-four (46%) of the lesions were distributed in the head and neck region. Duration of symptoms was 2 months to 15 years (median: 12months). Tumours of the sweat gland were the commonest– 41(78.8%); they comprised predominantly eccrine acrospiroma (17), characterized histologically by solid nests of round to polygonal cells with clear to eosinophilic cytoplasm, forming tubules in areas. Tumours of sebaceous gland were 7 (13.5%); they comprised mainly Nevus sebaceous of Jadassohn (6), composed of immature sebaceous glands and pilar structures microscopically and a solitary sebaceous adenoma. Tumours of hair follicle were 4 (7.7%) and included trichoepithelioma, characterized microscopically by multiple horn cysts and epithelial tracts connecting abortive pilar structures and a trichofolliculoma. Forty-six lesions (88.5%) were benign and six (11.5%) malignant. Conclusion : Adnexal skin tumors have distinct histological patterns which differentiates them from other cutaneous tumors. They are commonly distributed in the head, neck and trunk. The commonest variants are those of eccrine sweat gland origin. Malignant adnexal tumors are uncommon in our setting. Background : The most common cause of anemia is a deficiency of iron; but it may also be caused by deficiencies of folates, vitamin B12 and protein. 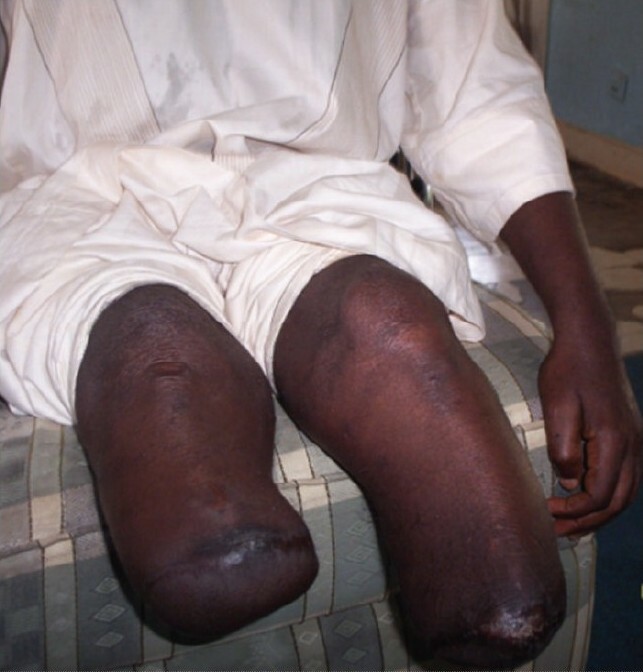 Some anemias are not caused by nutritional factors, but by congenital factors and parasitic diseases such as malaria. This study attempted to estimate the prevalence of anemia among pre-school and school- aged children in two rural areas of Odogbolu Local government area, and to determine whether its cause was nutritional or could be attributed to malaria. Methods : A total of 177 children between the ages of 2 and 11 years were included in the study. Children were examined for malaria parasites by microscopy. The World Health Organization (WHO) age-adjusted cut-off for hemoglobin and hematocrit were used to classify anemia. 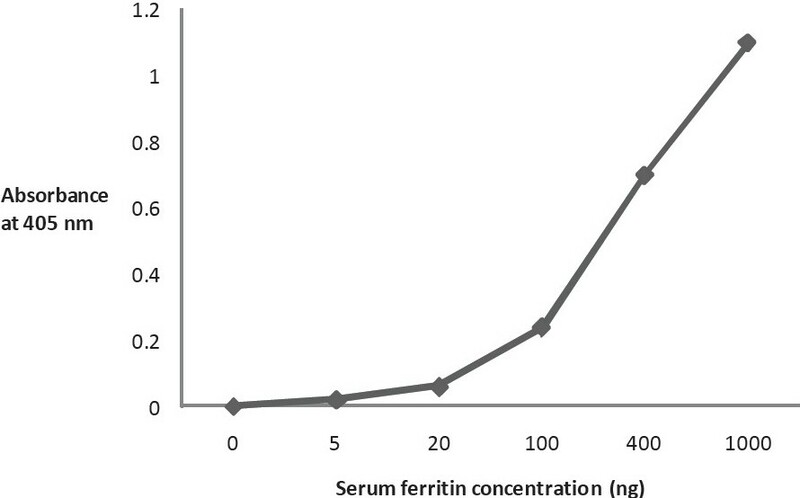 An enzyme linked immunosorbent assay for serum ferritin was compared with standard methods of determining iron deficiency. Under- nutrition (stunting, wasting and underweight) was classified according to the National Centre for Health Statistics standards. Values below - 2SD were defined as mild-moderate under-nutrition, and those below -3SD as severe malnutrition. Results : Most of the children were anemic, 87.1%, having PCV values below the 32% cut-off and 95% with hemoglobin levels lower than the 11g/dl, although parasite prevalence and density were low. Malnutrition was patent; 36% of the children were stunted, 18.3% wasted and 44.2% underweight. Serum ferritin was more sensitive than PCV in detecting anemic children. Although anemia was higher in boys and preschoolers compared to girls and school aged children, the difference was significant only in preschoolers (P = .004). Anaemia was also significantly higher in Irawo village school than in Iloti (P = .0001) Conclusion : The anemia detected in this population may be due more to under-nutrition than to malaria. Background / objectives : Ear foreign bodies are common otorhinolaryngological emergencies which must be removed otherwise they may present with various complications. This paper reviews cases of ear foreign bodies seen over a seven year period from January 1995 to December 2001 in the Ear, Nose and Throat (ENT) department of Usmanu Danfodiyo University Teaching Hospital Sokoto, Nigeria. Method : This is a retrospective study of all case folders of patients who presented with ear foreign bodies whose clinical features and management modalities were analyzed . Results : The total number of patients reviewed were 207.There were 126 males (60%) and 81 females (40%) with a male to female ratio of 1.5:1.Their ages ranged from 1 to 65 years with 61.8% being children under 10 years old. Agricultural seed was the commonest documented foreign body (15%). Deliberate insertion by patients accounted for 70% of the cases while accidental insertion accounted for 30%. Ear foreign bodies became complicated in 41 patients (19.8%) at presentation one of them requiring a major surgical operation (posterior tympanotomy) to remove the foreign body. About 99.5% of the foreign bodies were removed through the per meatal approach with 79.8% being carried out by the nurses and doctors who had received basic training to do so. Conclusion : Ear foreign bodies may become complicated and so needs to be removed using standard methods which should be carried out by those specially trained to do so. Background : This study examines the diagnosis of malaria and pattern of prescription of antimalarial drugs in the most vulnerable age group (the under 5 children) in the study environment in order to identify the possible shortcomings and suggest solutions so as to improve the treatment outcome in future. Methods : The hospital records of 430 children with malaria infection admitted for treatment in a chosen tertiary health facility between January to December 2005 were selected for study. Forty-eight case records were excluded due to incomplete information. Data on demographic, clinical features of disease, diagnostic procedures, drug administration and the treatment out come were collected from the patients' records. Results : Analysis of the data revealed that more male (213) than female (169) children were admitted for malaria treatment: Fever with convulsion (55.8%) was the commonest presenting symptoms, and anemia was the most frequent complications of malaria recorded. Chloroquine was found to be the most prescribed antimalarial agent and overall antemisinin-based drug was prescribed either as a first or second line treatment in only 18.2% of the cases. The death rate recorded was 16%. Conclusion : The pattern of antimalarial drugs prescription in the study center in most cases did not meet the recommended guidelines. The prescriptions were predominantly chloroquine, instead of artemisinin based. The death rate was comparatively high. Measures to raise the level of awareness among the practitioners on the current National policy on malaria treatment through seminars and workshops were suggested. Background : The worldwide pattern of oral and maxillofacial surgical conditions has been rarely reported despite its significance in head and neck medicine. The Niger Delta region comprises 9 of the 36 states in the Federal Republic of Nigeria. There are scanty reports on oral and maxillofacial surgical diseases from the region despite its 95% contribution to Nigeria's oil-revenue. Methods : This retrospective survey of oral/maxillofacial surgical cases seen at a referral center in Port Harcourt, a city in the Niger delta region of Nigeria. Results : Between 2000 and 2004, our center offered specialized maxillofacial surgical services to 86 patients coming from 5 states in the Niger delta region. These patients made up 20% of all patients seen at the department within the period. There were 110 indications for surgical interventions. Most were complaints of trauma (46.4%). The rest were tumors and allied lesions (39.0%) and cysts (12.7%). Ratio of male to female patients was 1.7:1 while patients were aged between 9 and 85years (mean 31.2years, standard deviation ±15.4). Most (n = 63, 73%) had surgical treatment while a significant proportion (19%) defaulted. Seventy -nine surgical procedures were performed (69 primary and 10 secondary). 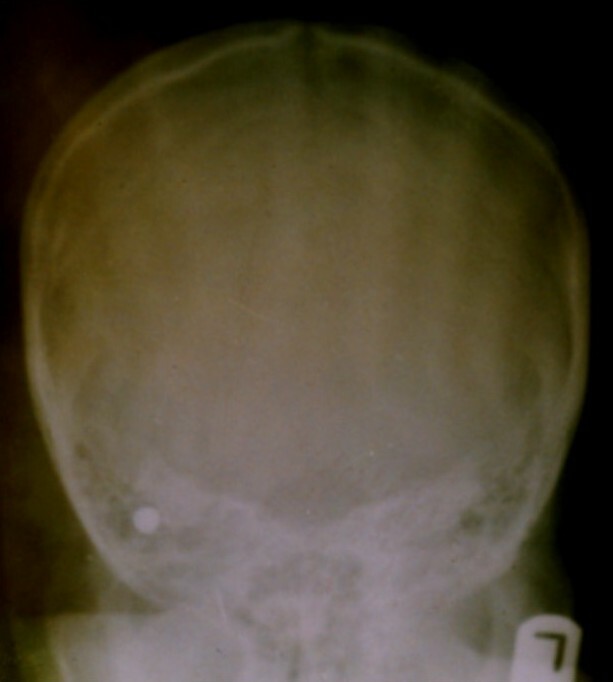 Primary procedures included maxillo-mandibular fixation (31.9%) and enucleation of tumor/cyst (17.4%). While our series of 86 cases over 4years appears low, there is likelihood that oral and maxillofacial surgical conditions are as common in the Niger Delta region as in other parts of Nigeria. There is scarcity of skilled manpower and equipments for the management of oral maxillofacial surgical conditions in the region. Health promotion activities are needed to improve awareness for early diagnosis of these conditions. Also, poverty alleviation measures need to be effective as defaults were often due to inability to pay for treatment. Conclusion : In many parts of the Niger Delta region of Nigeria, oral and maxillofacial surgical diseases are not uncommon causes of morbidity. However, many parts of the region lack requisite manpower for prevention and curative health activities. Defaults from hospital treatment were due to preference for traditional (unorthodox) measures and financial inability. Poverty alleviation measures need to be stepped up while the state of medical infrastructure should be enhanced in the region. Background / objective : The relative rarity of gallbladder disease has been documented in various parts of Africa. Recently the incidence has been reported as rising in some African countries. We undertook this study to evaluate the indications for cholecystectomy in our center and compare with others. Methods : This is a retrospective study of 18 open cholecystectomies in 10years. Results : The ages ranged from 13 and 65 years (mean 39.2years). There were 15 females and 3 males (F: M = ratio 5:1). Calculous cholecystitis 9(50%) in patients, acalculous cholecystitis 8(44.4%) and a patient with carcinoma of the gallbladder were offered cholecystectomy. The commonest stone was mixed multiple stones. Conclusion : The numbers of cholecystectomies attest to the rarity of gallbladder disease in this environment. This may be due to the high fiber and low cholesterol diet predominant in this costal population in southern Nigeria. In developing countries, like Nigeria, non-communicable diseases including endocrine disorders are on the increase. However, not much attention is paid to this group of diseases because of the enormous burden posed by infections. Despite this threat, endocrine disorders still constitute a significant cause of morbidity and mortality. The appropriate and gratifying practice of endocrinology requires skilled personnel, adequate investigative facilities and treatment modalities including: medical, surgical, hormonal and radiotherapy. Majority of the patients with endocrine diseases present to the non-specialists, though they make a great impact, they have their limitations. Four endocrine cases are presented here to demonstrate the challenges posed by the dearth of facilities and the non-affordability of appropriate treatment modality by the patients in most centers where endocrinology is practiced in Nigeria. Anthropology is now one of the inter-disciplinary scientific fields that is gaining much attention in forensic, socio-cultural, industrial and bio-medical applications. There is a need for a better awareness of some of the impacts - past and present, in the medical practice, of the records that were obtained by workers in this field in view of their proper applications. and future reference. Compilation of anthropometric works and records was conducted to evaluate the previous and current implications with the aim to highlight the importance of this seemingly old but yet evolving and dynamic subject and to elucidate its usefulness. However, despite the arduous efforts to get reliable data from anthropometric investigations, errors had most times characterized the concluding postulations of many workers in this field in the past, creating skepticism. But with better attention being given to the exercise, possible improvement in the methodology of the study with resultant authentic records and more reliable conclusion is anticipated.